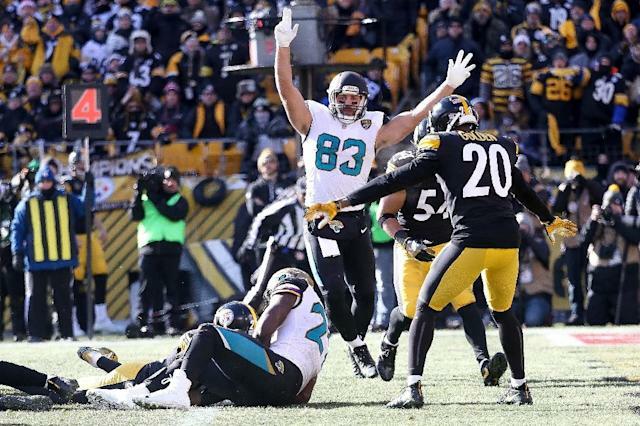 New York (AFP) - Defending NFL champion New England's quest for a third Super Bowl title in four seasons is only two wins from completion, but the upstart Jacksonville Jaguars aren't going down quietly. Sunday's winner will face the National Conference champion, either the Minnesota Vikings or Philadelphia Eagles, in Super Bowl 52 on February 4 at Minneapolis, Minnesota. "We're going to the Super Bowl and we're going to win," Jaguars cornerback Jalen Ramsey told a fan rally in Florida last weekend. 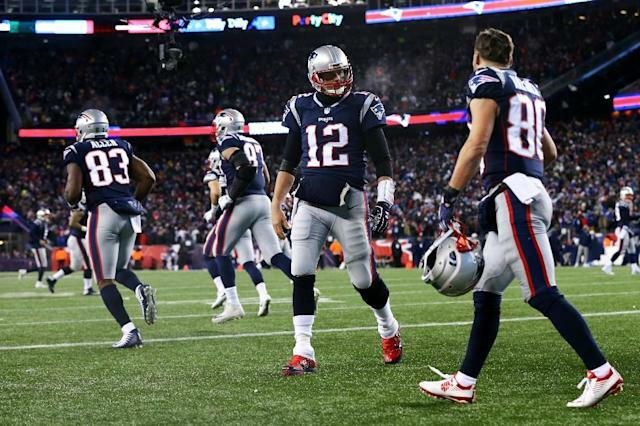 But that's going to require Jacksonville getting past the Patriots first, and New England quarterback Tom Brady, who could become the first six-time Super Bowl champion, warns that big talk must be backed up on the field. "What I've learned for a long time is it's how you play, it's not what you say," Brady said in his weekly radio appearance. "The game is going to be decided by who plays the best, not who hypes the best or speaks the best. "He's a really good player. I've watched a ton of film on him. He has a lot of strengths. He's obviously very confident. That's reflected in how he plays. I am more concerned about how he plays opposed to what he says." "I'm sure he could probably throw left-handed if he has a problem with his right hand and throw just as well," Marrone said. Brady, who will play in his seventh consecutive conference final and 12th overall, faces a stingy Jaguars defensive unit that was the NFL's best against the pass in search of his 27th playoff victory. "It's the best team we are facing all year coming up," said the Patriots' Rob Gronkowski, who led all NFL tight ends with 1,084 receiving yards. "We have to be prepared. It is going to be a big, tough challenge, for sure." Brady called the Jaguars the "toughest" foe the Patriots have faced, but Jacksonville linebacker Telvin Smith dismissed the praise on Twitter, saying, "Bruh this the oldest trick...pump us up in the media but in the buildin I kno what's really bein said. Respect." Still, it's Ramsey's Super Bowl guarantee for the Jaguars that figures to provide motivation for the Patriots. "If you're going to make a statement like that, you better be able to back it up," Patriots defensive tackle Adam Butler said. "Be humble or be humbled." "We're going to have to play our best game of the year," Belichick said. Tom Coughlin, the first coach of the Jaguars as a 1995 expansion club, returned this season as Jacksonville's vice president of football operations. He knows how to beat the Belichick and Brady-led Patriots, having done so twice in Super Bowls as coach of the New York Giants.